On a lovely spring morning, Laveena and I were checked in by an affable and young receptionist, Ramzi Zaboura. When the formalities were completed, Ramzi walked us to the famed hotel elevators. When inside, one gets the feeling of stepping into a time capsule, which transports you to the 1930s. The white gloved uniformed operator, gave us the loveliest welcome ever and allowed Laveena to press the button to our floor. Ramzi requested Laveena, to take us to the 39th floor, where he walked us to our room. We found it to be high on sophistication, very tastefully decorated and with the most breathtaking views of Central Park. 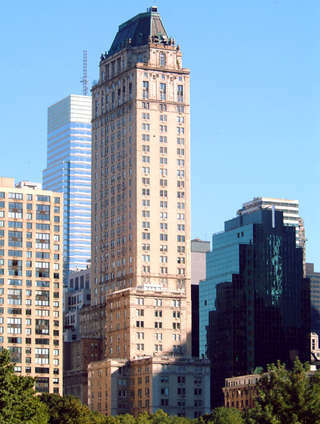 The Pierre stands proud and tall at 41 stories on the corner of 5th avenue and 61st street, not far off from some of the cities best bars and restaurants. And of course, close to the fabulous shopping on 5th avenue. 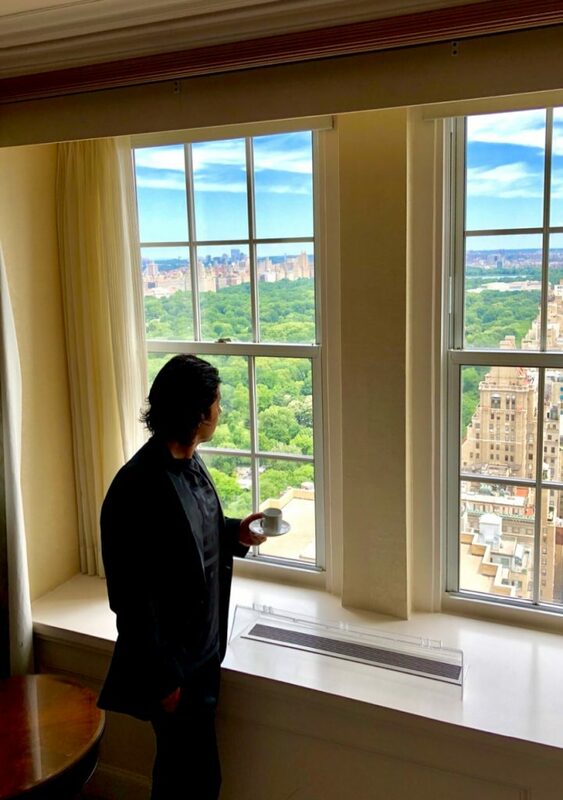 Once we had settled in, tested the comfort of our bed, sipped on coffee from the nespresso machine, looked out of our room window and soaked in the calm colours of green from the vast expanse of trees carpeting Central park, Laveena and I decided to step out of our room and walk around exploring the hotel. 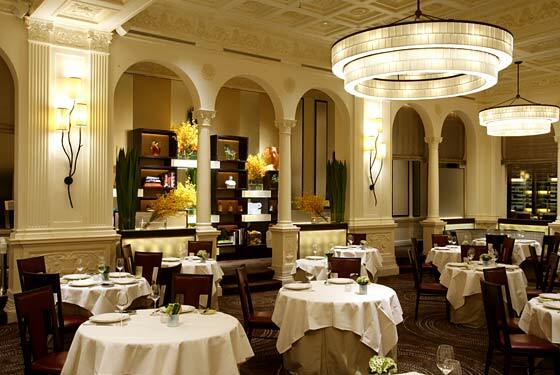 In the lobby we met with an older English couple, Thomas and Molly Davis, who said that they loved The Pierre as it had a distinct feeling of a private members’ only club. 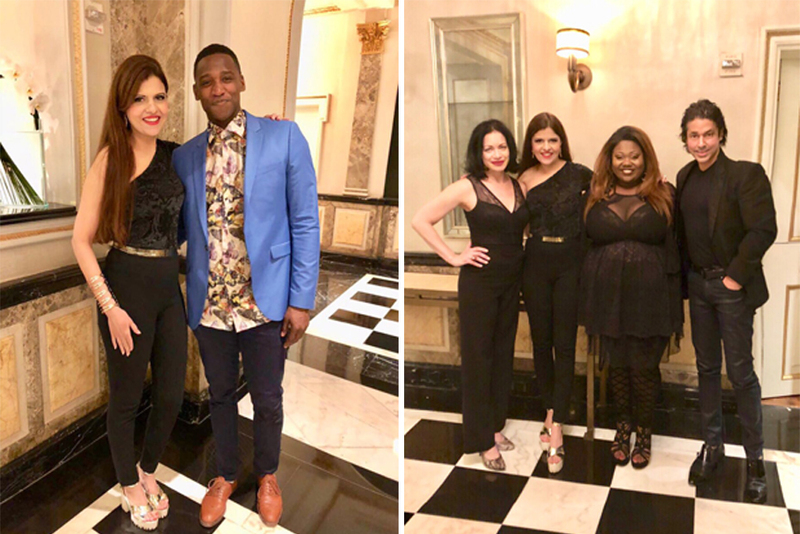 The decor they said was stately and appealing and they enjoyed the gilded mouldings, the fresh flower arrangements and the black and white marble flooring in the lobby. Thomas was quick to add that he had an impressive art collection back home in the UK and that he was thrilled to learn that Salvador Dali himself chose to live at The Pierre, when he would visit New York in the 60s and 70s. On our way out the door, we met Francois-Olivier Luiggi, the very popular, ubiquitous and charming young GM at The Pierre. He recommended we buy tickets for the Broadway show at the hotel, scheduled for the next evening. He said that the proceeds from the night’s performance would benefit the Tyler Clementi Foundation, a non-profit organisation ‘committed to end online and offline bullying, harassment and humiliation’. We didn’t need much convincing as the evening he was recommending, was for a great cause. We thanked Francois and stepped out to re-discover the city. 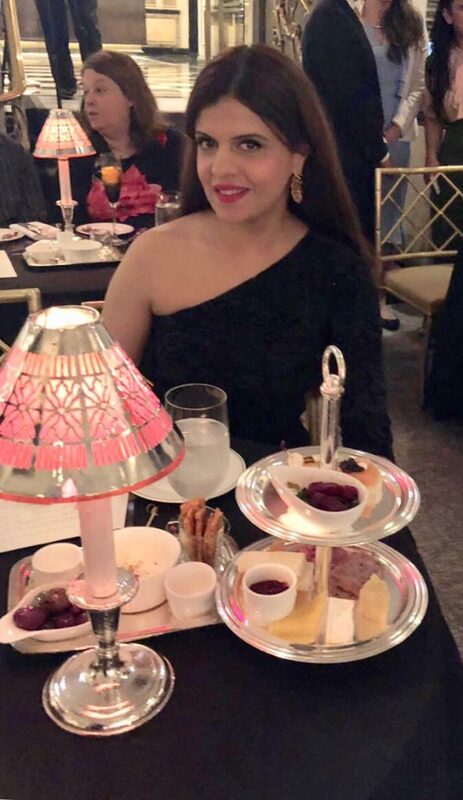 We had requested our hotel concierge to book us a table at ‘Daniel’, a French restaurant, a friend recommended very highly. Our reservation was at 7 pm and when we got there, our table was ready for us. Our waiter bought us a bottle of red wine -a 2014, Cabernet Sauvignon from the Sonoma Valley called, Amapola Creek. For our first course, we were served the Seriole – a citrus cured Hamachi with a chive aioli, cardamom beet puree and a Mizuna salad. The Rabbit “Porcetta”with Chorizo with balsamic-cherry tomato confit, orelans mustard and cape gooseberry tasted fabulous while for the 3rd course we were served Morro Bay Oysters with Santa Barbara foraged seaweed salad with a lemon and kaffir lime vinaigrette. And finally, the Omble Chevalier – arctic Char poached in a star anise “court Bouillon with feel, wild asparagus and sorrel cream. We took our time to enjoy the grand experience of our meal at Daniel, and I have to admit, that for a couple who have had the opportunity to enjoy meals cooked by some of the world’s finest and most decorated Chef’s, we were truly impressed with not only the wine list, the presentation and taste of the meals, but will the overall ambience of the restaurant too. When we stepped out of Daniel after dinner, the temperature had dropped and there was a pleasant nip in the air. The food and wine had warmed us enough to keep us on the move and we continued to walk the beautiful streets, our vagabond shoes, like Frank Sinatra’s, were longing to stray, right through the very heart of New York. And walk we did, for the next hour, hand in hand, through the upper east side neighbourhood, which evoked that distinct feeling of having traveled back to the old-world New York, many of us know and love so well. 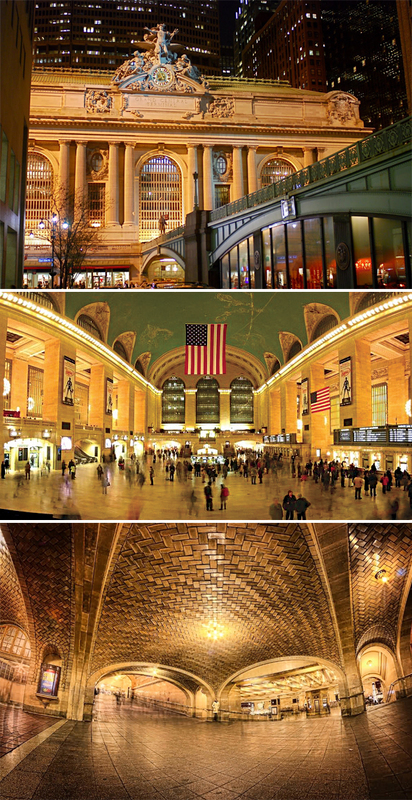 Before returning to our hotel, the fabulous Pierre, we couldn’t resist visiting Grand Central terminal, to view the tiled arches, the ornate staircases and the awe inspiring gold and blue ceiling in the Main Concourse. Laveena and I even headed down to the whispering gallery in the lower level, to try out first hand, the well known feature, where one can speak softly at one end and can be heard loud and clear across the archway. And it worked, just like we had read innumerable times in so many travel features. 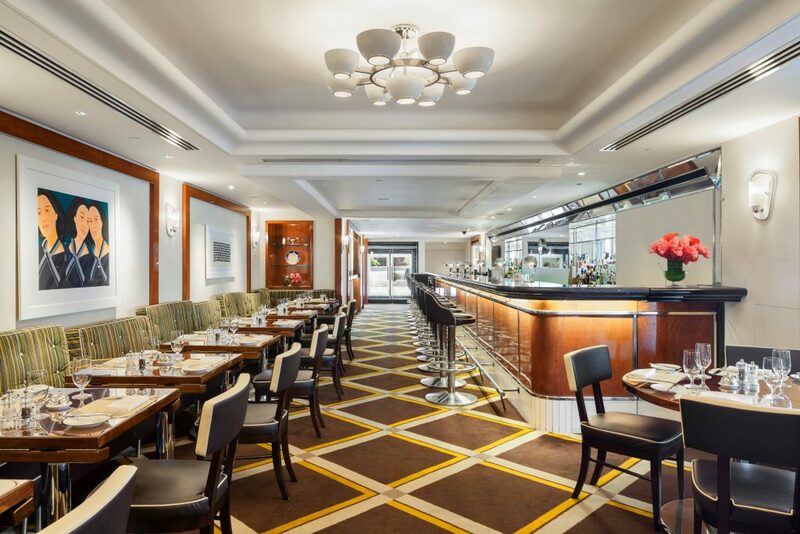 We returned to the comfort of our room at The Pierre and after a fabulous nights rest, headed for breakfast to the famous Perrine restaurant located at the lobby level of the hotel. Here we were lucky to have been served by a charming Italian gentleman, Carmine Cozzolino, who had interesting stories to share, but only after he served us a fine breakfast fit for royalty. We ordered the fried egg rancheros with the spicy tomato coulis and whipped avocado and the brioche french toast with cinnamon sugar. On the side we ordered a bowl of mixed berries and a plate of sliced melon and papaya, eliya coconut water and a mango lassi. 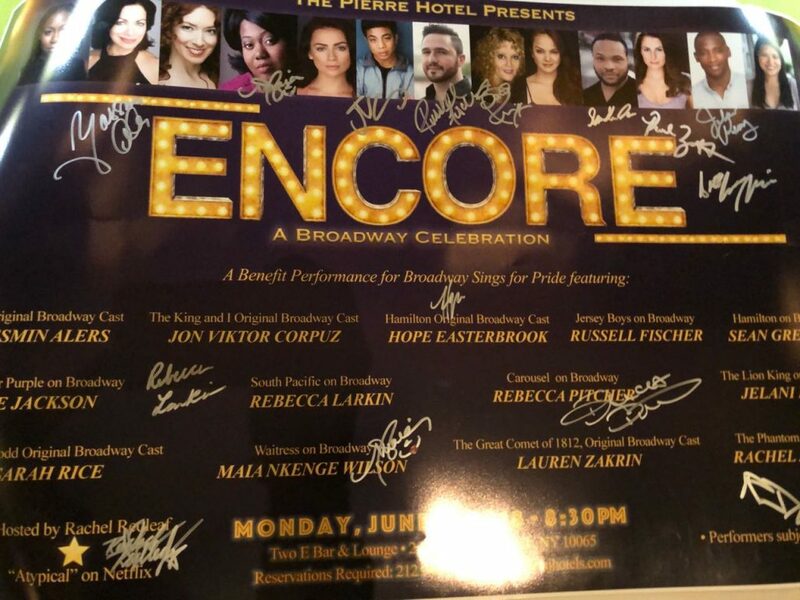 After an eventful day, full of wonderful little surprises, in NYC, we were back at The Pierre, well in time for the evening broadway performance – Encore at the Two E Bar and lounge. The show began on time and was an absolute stunning performance. To the accompaniment of cocktails and bite sized snacks served by the very attentive Nevin Darwish, we were treated to live songs from many beloved musicals, including The Phantom Of the Opera, The Lion King, The King and I, and Hamilton. Performers included Rachel Zatcoff, Hope Easterbrook, Fran Drescher, Russel Fischer, Lauren Zakrin, Sean Green Jr, Sarah Rice, Yassmin Alers, Jon Viktor Corpuz and Jelani Remy. Our stay at The Pierre was remarkable and indeed memorable on a number of counts. 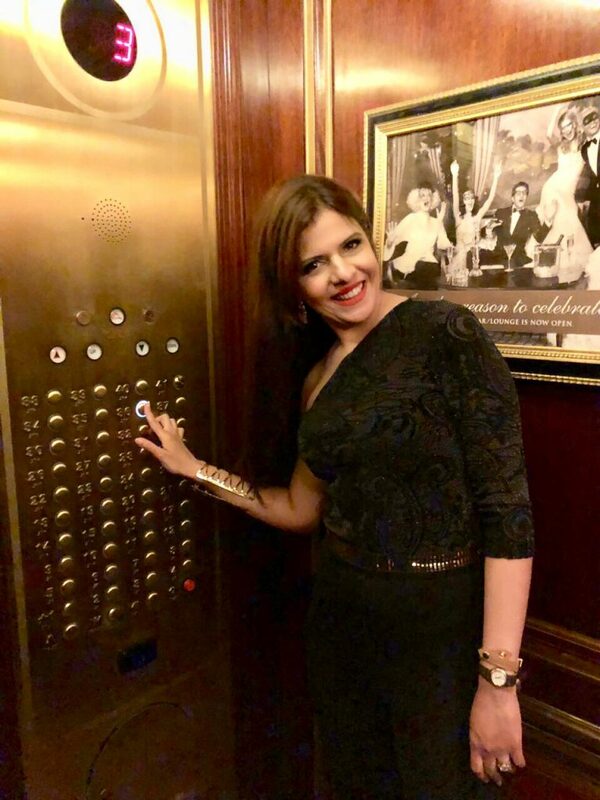 But in both our opinions, ultimately, what set this luxury hotel apart from the competition, in New York, was its location, its high commitment to service and the passion the staff showed, in making each guest feel super special. 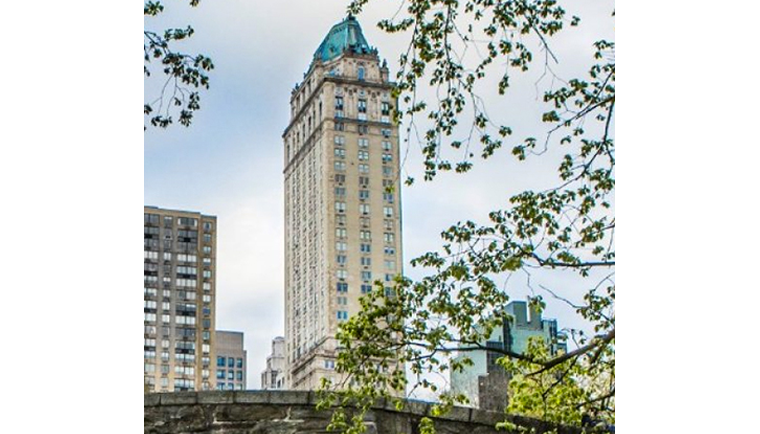 When in New York next, ‘The Pierre’ is now an easy and preferred choice for us and Laveena and I are already looking forward to our return stay at this iconic property.